Mr. Douglas A. Funkhouser is an Ohio criminal defense attorney, with more than 20 years of experience,compassion for his clients and the diligence to seek justice for all whom he represents. Unlike many attorneys who take a hands-off approach to client representation to increase their case loads, Mr. Funkhouser personally handles each unique case and treats all clients with dignity and respect. Mr. Funkhouser takes his responsibility of representing vulnerable individuals seriously, and strives to obtain the same justice for his clients that he would want for himself and his family. Mr. Funkhouser began his extensive law career in 1995. Prior to founding Douglas A. Funkhouser Co., L.P.A. 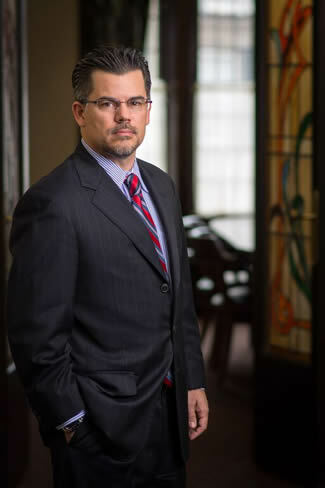 in 2000, Mr. Funkhouser represented nearly 1,000 clients on a wide variety of civil law issues. As a prosecutor in the U.S. Army, Mr. Funkhouser led a legal staff that prosecuted more than 400 misconduct cases, successfully prosecuted four courts-martial in the Republic of South Korea and acted as the sole legal advisor for 30 commanders with more than 4,000 soldiers deployed within 10 miles of demilitarized zone.